Kerala SSLC Exam Results 2017: Kerala SSLC Results 2017 will be released on 5th May 2017 by Education department of Kerala. The valuation of answer papers from Kerala SSLC Examination 2017 completed on 27th April 2017. There are 13 valuation camps working across Kerala state. Kerala SSLC Exam Results 2017 are announced after completion of the tabulation, verification and calculation of grade points. SSLC marks are uploaded to the central marks server from the valuation camps every day. The marks are verified by the teachers in pareekshabhavan every day. The verification of the mark list will end on 29th or 30th April 2017. After this verification marks of continuous evaluation and Information Technology are added into the main marks. After completing the process of adding all marks to the mark sheet the grace marks from various activities like sports, arts, NCC, NSS, Police Cadets etc. are added. A final grade of the student is calculated from these marks and the consolidated SSLC Examination grade points are calculated. The whole process is done on the online software hosted on the server managed by [email protected] project. Teachers and invigilators can check the process every time on the application software. Final SSLC 2017 Result and Mark list are available on the result websites after the official declaration by the Education Minister of Kerala. Kerala SSLC Results 2017 are available on the websites managed by NIC and [email protected] The list of websites are given below. 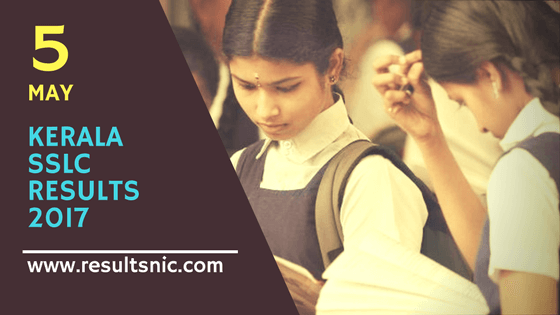 The Secondary School Leaving Certificate (SSLC) is a certification obtained by a student on successful completion of SSLC examination at the end of 10 year study at the secondary schooling in India. The SSLC is an examination which is held in many states like Kerala, Karnataka and Tamil Nadu. Kerala Education department is conducting SSLC Examination every year for awarding SSLC Certificate. More than 3 Lakh students participating in SSLC Examination in Kerala State. Every year SSLC Examination is scheduled on the month of March and SSLC Results are releaded on the month of April or May. A SAY (Save a Year) Examination is also follows in the month of June to get another chance for students who failed to obtain a passing grade in SSLC Examination.